Government statistics released today show that the 014 area of Oldham has the joint 7th lowest household income in England & Wales. 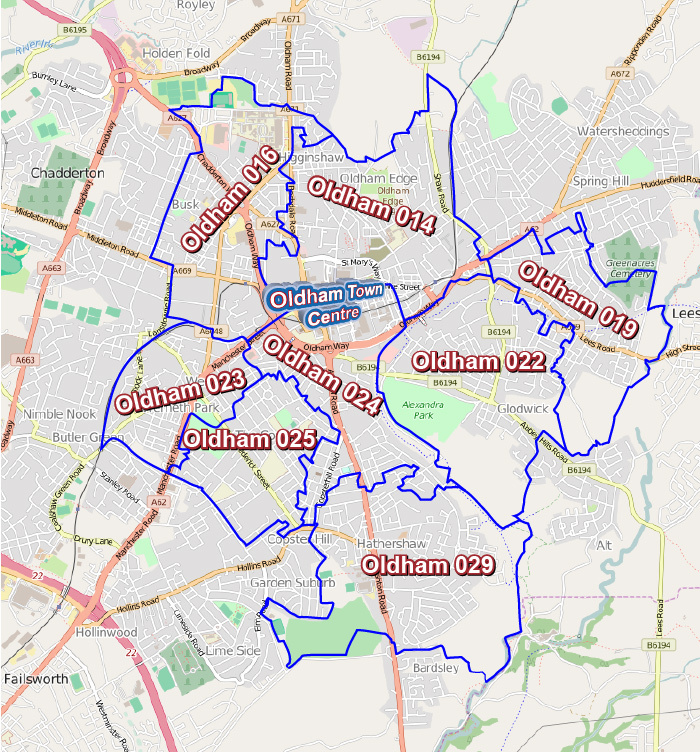 This is the area which already has 44% more housing benefit claimants than any other Oldham area and where a third of the current population are children under sixteen. This is the place designated by the delusional Oldham Labour Council as the right area to build another 900 new homes as part of their town centre “Masterplan” which according to them will signal an age of Oldham prosperity. Let us not forget that the £33 million annual GVA growth and 3,004 permanent jobs promised by Labour Oldham for their failed Prince’s Gate, Hotel Future and Foxdenton developments never happened but have cost millions in preparatory work. Labour have been in charge of Oldham local government for 33 of the last 45 years and shared control for another 8 years yet they take no responsibility for the social and economic mess their policies have created in Oldham.